You guys! I’m going to try a photo post and see if it works. 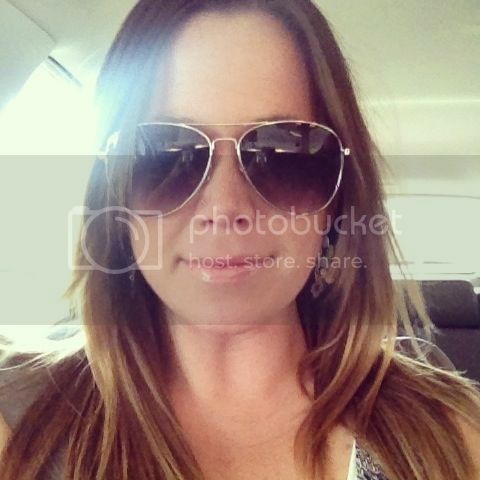 What better intro to photo posts than to show you a few things that I’m currently loving. 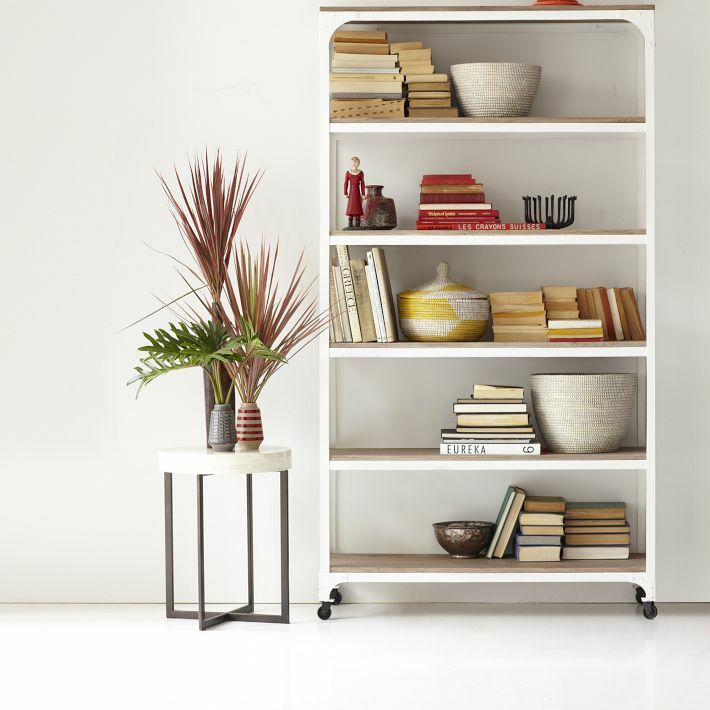 I’ve been lusting after many of the items from west elm. They’re mostly all centered around the Parsons Desk, which I have to convince myself on a regular basis I shouldn’t buy. 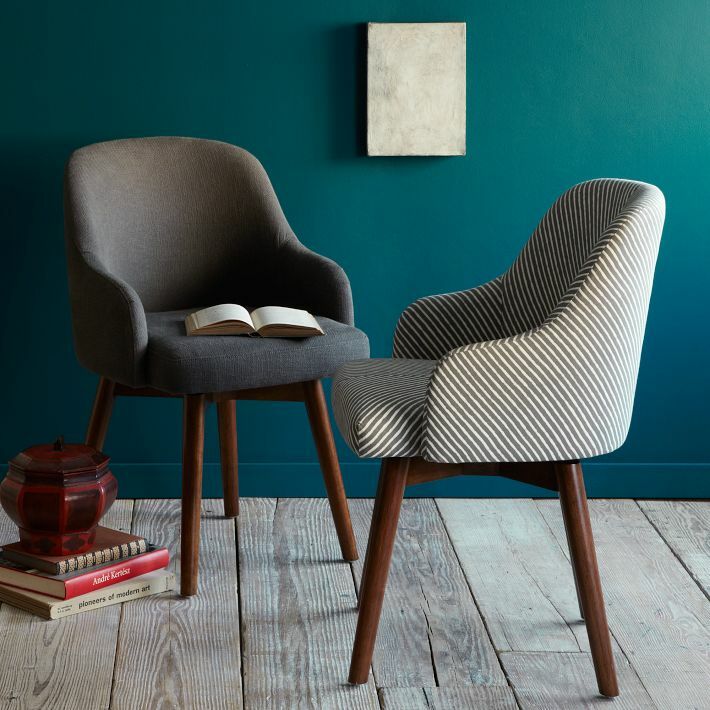 I would love all these items and they’d make the perfect home office! 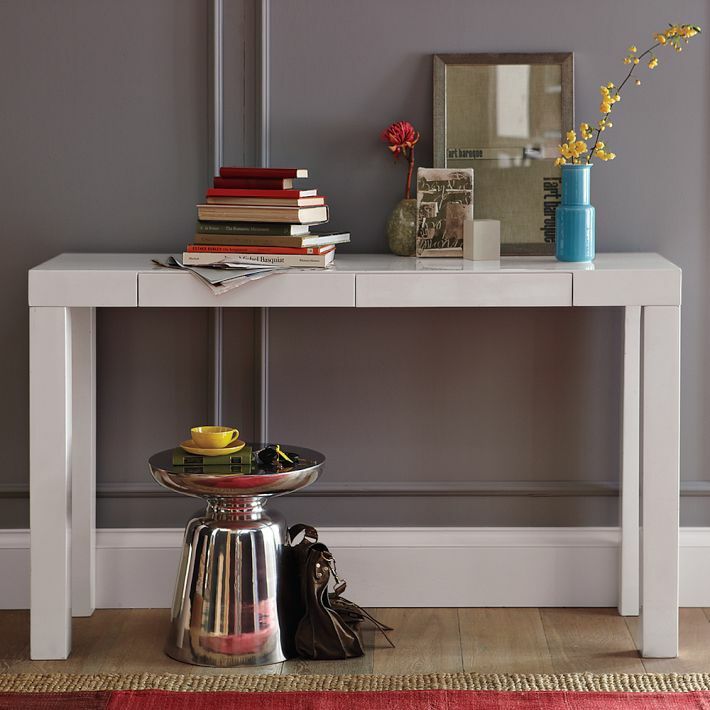 This is the Parsons Desk. The most perfect desk. It’s the cornerstone of my home office. Then we have the chair. I like the pattern on the left. It looks perfectly comfortable for hours of blogging for you all, friends. A little bit of a shelf for my many, many, many, many books. 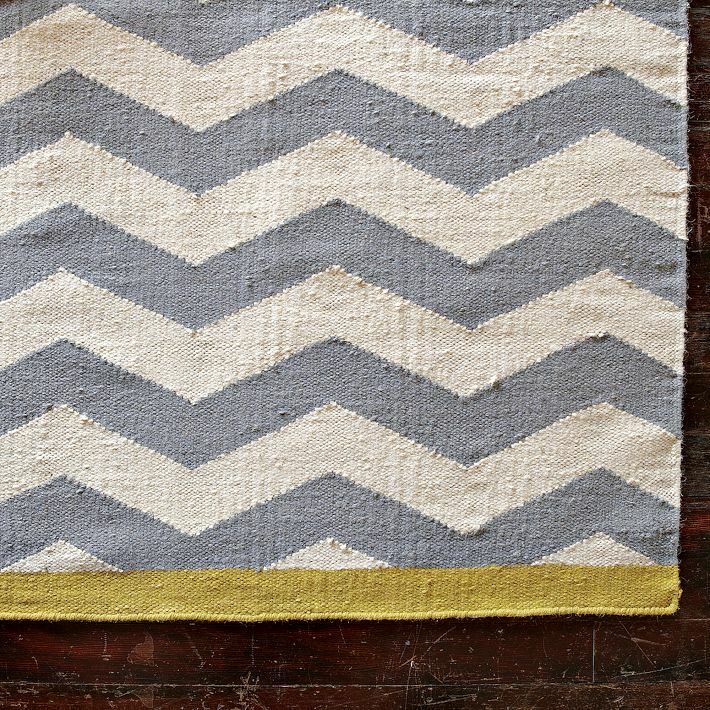 And the rug to tie it all together… grey chevron with a touch of mustard. 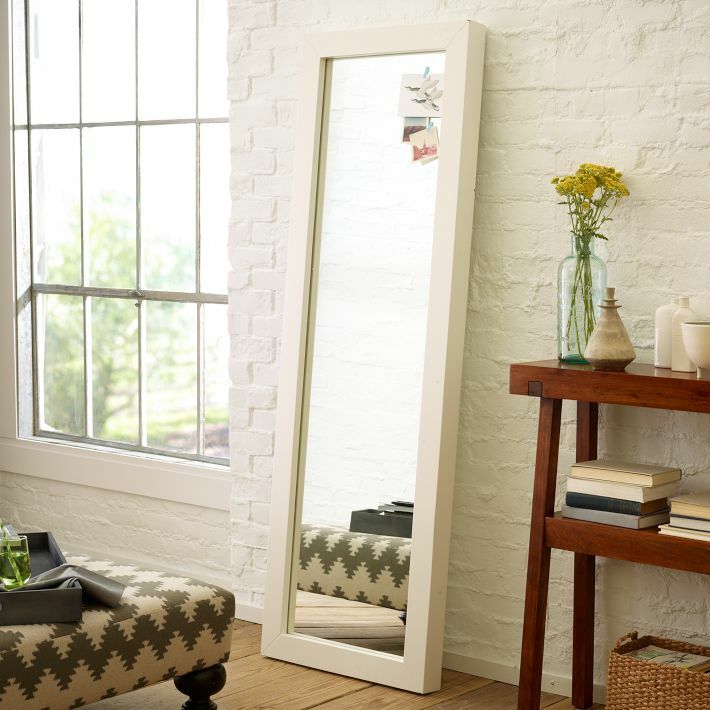 Okay, okay… the mirror is a tad unnecessary, but it goes with the desk! I decided, after some extensive blog reading and related work chatter, to eat Paleo-style/join the Paleo movement/be Paleo (how does one say that?). I’m trying to avoid using the word “diet” cause it has such a negative connotation. However, it is just that. A lot of people call it the “caveman diet” and that’s really it in a nutshell. It’s going to be including more meat than I usually eat but the trade off is I’ll be breaking my addiction to carbs and sugars. Yes, I’ll miss wine and beer and most especially cheese but “moderation” will be a new word in my vocabulary in 30 days. I’ve given this a lot of thought. After eating my way through Des Moines and some additional stress I’ve found that I haven’t been feeling very healthy. I haven’t been sleeping well, my clothes feel the stretch of some extra lbs. and there’s simply the general feeling of being more run down than usual. Even getting outside for a run has been a challenge cause I’d rather sleep. I couldn’t figure out why I was feeling so poorly. Then I started to think about what I’ve been consuming. My food philosophy has always been about feeling good from the inside out but I realized that’s taken a backseat to the gastronomical excitement of a new city. After hearing about it at work, I read this blog which made me feel like Paleo was something I wanted to do. In true Ryan fashion, I made a plan. I purchased this book and this book (okay, okay and this book – but that’s it, I swear). I began reading about food, how the body reacts to food and the benefits of Paleo. I won’t attempt to reiterate it here as my goal is merely to talk about this cool new thing I’m doing. I realized that what’s been happening (maybe my whole life) is that I was regularly putting food between me and my goals and 90% of the time, it just wasn’t worth it. I felt excited to come home tonight and cook dinner. I cooked, you guys! It’s been a long time since I’ve done that. I even have a menu planned for the rest of the week. If it wasn’t evident, my day one optimism is showing itself. I know this is going to be very difficult and I’ll probably need you to remind me on day 9 that I don’t, in fact, neeeeeed a pastry. I’m just really excited about this. I’m pretty sure this is going to get me just a bit closer to being the woman I want to be. You guys, let’s talk about one of my favorite things: food. Since being here in DSM, I’ve found some great places to eat. I’m compiling a list in my mind of the places I want to take my family and friends when they come here. And maybe, just maybe, some of you out there in the blogosphere are planning a vacation to Des Moines (what? it could happen.) and are wondering what on earth to eat when you’re here. Coming from Cleveland I was a bit spoiled. You see, Cleveland has an amazing food scene. We’ve got some up-and-coming wildly popular food trucks, some amazing chefs and some famous chefs and I managed to eat my way around my home and find the places that I’d return to again and again (mostly here and here). I was worried when I made the move to Des Moines that I wouldn’t find places I’d love as much. Food to me is all about the experience. Whether eating in or out, I want to eat good things. I’ve always had the food relationship a bit reversed… I live to eat, not eat to live (bad, Ryan!). This list is, by no means, all-encompassing. I know I’ve merely scratched the surface in four months but let’s get started. I have to start with this place. You guys, it has everything I love. There is more beer than you’d be able to get through in a dozen visits, they have liquor, a roaring fire, soccer/football is on TV and (bonus!) it’s a sort of gastropub. Their Steak & Guinness Pie is seriously in the top five best things I’ve ever eaten. Can we just take a moment and think about that. … Alright. I digress. The best part about The Royal Mile is that it’s so unexpected. It’s an amazing bar hidden behind a small door and a small sign. The decor is a bunch of wooden (are they wood?) tables, old pictures of people on St. Patty’s Day and football flags (as in Manchester United not Chicago Bears). It all comes together to be my favorite place to grab a pint in Des Moines. There was one place the people of Des Moines overwhelmingly advised me to go when I first got here and it was Fong’s. Fong’s is located across the street from my number one but it’s clearly number one for the fine folks who live here. It’s the place where people line up out the door for a pizza. Pizza, people. However, I do have to confess… their Crab Rangoon Pizza is out of this world. Apparently their drinks are nothing to sniff at either but I can’t comment on that first-hand. You’d think that with my love for craft beer (oh, maybe I haven’t made that clear), dim lighting, lively conversation, sports on TV and delicious food that Brew Co’s would be my raison d’être but sadly, that’s not been my experience. I’ve never found a place where the food is awesome but the beer is awesomer (it’s a word) till CABCo. For breakfast, it’s Star Bar all the way. In fact, I’ve never been there outside breakfast hours. Everything that comes out of the kitchen is amazing. It’s always mimosas and omlettes or mimosas and steak and mushroom hash or mimosas and Cuban sandwiches. The decor is fabulous. Their wine selection is fabulous. This is a place where you could go, park yourself at the bar (and get a birds eye view of the charcuterie-making action), get a drink and mange on the ratatouille with goat cheese appetizer. I am a foooool for ratatouille. Django’s take includes goat cheese that’s more like a cloud and adds such a zing to their traditional tomato-infused roasted veggies. If you don’t want a sit down experience, here’s a shout out to my favorite on-the-go places: Planet Sub, Panchero’s, Orange Leaf. Pinterest does a good job reminding me of the kind of woman I want to be. There’s so much creativity, determination, motivation and no lack of good recipes that clog up my Pinterest boards. From adorable future pets to what I want my future home to look like, I pretty much have the blueprint in my mind. I’ve been knocking this idea around my thoughts for a bit of time and I can’t seem to figure out what exactly motivates me. If there’s anything true about me, it’s that I feel like I’m always waiting: waiting for the right time, waiting for the right place, waiting to have the right amount of money, waiting for the right tools, waiting for the right person – you get the idea. Here’s a list (both the silly and serious) that does a good job illustrating the kind of woman I want to be. Maybe that’ll help with the motivation part. I want to be the kind of woman that bakes doughnuts. I know it sounds silly but I feel like baking doughnuts pretty much makes you the coolest kind of woman. I’ve made cakes, muffins, cookies, even toffee but never doughnuts. How cool would it be to bring those into work… homemade doughnuts – no big deal, guys. I want to be the kind of woman that runs with the sun. As I mentioned before, I’m constantly trying to be a runner. Yes, I know my body may be rejecting it as I’ve had everything from hip pain to shin splints. I refuse to quit though. While that may make it sound like I have the upper hand, I’m constantly starting/stopping the entire process. As summer moves closer, I dream of starting my days by hitting the pavement, breathing in the morning air, getting out in the world before most people have had their first cup of coffee – I just can’t seem to get from the bed to the door. I want to be the kind of woman who wears heels. This sounds ridiculous, I know. Again though it’s a more generalized statement which illustrates something that I think makes women amazing. Fashion has pretty much eluded me my entire life. My sister is so good at this. She can put whatever together because she owns it and makes it hers. My idea of fashion is to add a scarf to any and everything (yes, even a hoodie – epic fail, Ryan). I want to wear turquoise jewelry, maybe turquoise shoes, blazers, skinny jeans, tall boots – I want to make it look effortlessly put together. That’s something I know won’t happen overnight. I want to be the kind of woman who inspires others. This one is more long term. Honestly, one could go their entire life not really understanding their impact on others. Regardless I think I could at least try to live this way. I want to be the kind of woman who travels. It really doesn’t matter where. This one is born out of my love for pictures. I love when I see a life displayed on the wall (“oh, that was from our trip to Rome in 2010…”). Travel has always been something that mattered to me but never anything that I put first for myself. I want to change that and make it more of a priority. And since I could go on forever… I’ll make this next one the last one (for now). I want to be the kind of woman who has a dog. Another silly but true one. I have wanted a dog FOREVER. Thankfully, I’ve been responsible enough to wait for good time but I desperately want this one to be true. A dog could be the first step to my future as a farmer (but I digress…). I want a cool dog, too: a whippet, or a greyhound or a Frenchie or something. A dog that will follow me around, that I can take on walks or runs (maybe that would get me out the door?! ), a dog that I can take on car trips or on the long ride back to Ohio. You know, like a sidekick. I know this post bounced between silly and kind of desperately serious. I want this space to be an honest place for me but not tooooo honest. I want to be known and share the good stuff (less on sharing the bad). Also, this post would have been awesome filled with pictures but I’m only on the first chapter of WordPress for Dummies so that’ll have to wait. Truth: I really enjoy TV. I’m so dedicated to the cause that I have Netflix, HuluPlus and Apple TV (where I can rent seasons from iTunes). However, lately I’ve been experiencing a TV lull. I haven’t been as interested in what’s on. My HuluPlus queue is backing up from unwatched episodes… with the exception of Downton Abbey, I’m bored. It seems all my favorite shows have irritated me in some way because the plot lines are getting tired; some stuff I used to enjoy is currently off the air. I’ve seen almost every episode of Top Gear so there’s nothing new happening there (correction: shout-out to the hilarious season premiere last night!!). That boredom was recently cured by watching all of Season One of Homeland. People, if you’re not watching this – you should be. From the very first few moments, I was hooked. I’ve not been under a rock – I know the cast has been applauded and awards have been won for its brilliance, I just don’t pay for Showtime so I never paid much attention. I won’t go crazy on the plot details so that I don’t give away any spoilers but Claire Danes cries a lot and it’s really convincing. And Damian Lewis is brilliant and his story gets so much deeper as the season progresses. Even his annoying daughter gets me riled up. And Mandy Patinkin… don’t even get me started (a-mazing). Seriously, if that’s the kind of programming Showtime is turning out, I’m all.for.it. So get out there and buy Season One of Homeland and watch it in three days (the ONLY reason it was three days for me is because I have a job which required me to be off the couch and away from the television). I like to make sure I keep my mind as sharp as possible by reading regularly. Yes, I sometimes get sucked into the vortex that is television but I always turn back to a book (or seven) before too long. I’ve recently discovered the brilliance that is the Des Moines Public Library. As a consequence, I am (like most people – surely) reading several books at once. The following is a list of my current reading material. Laura Hillenbrand – Unbroken – So far it’s amazing. And I know very little about WWII so it’s a bit of an education. Plus the guy was an Olympic Runner. Growing a Farmer – Kurt Timmermeister & The Dirty Life – Kristin Kimball – Because I want to be these people (see aforementioned dreams of being an urban farmer). Let’s Pretend This Never Happened – Jenny Lawson – Because there’s a mouse on the cover… and it’s hilarious.